The shift from traditional roadside billboards to digital roadside is evident across the UK, and with more national corporations and SMEs looking for a creative and impactful way to communicate with customers, this change is growing in importance. Located on Shipley Airedale Road, the Leisure Exchange D48 will be seen continuously by commuters going to and from work, as well as those visiting the iconic Bradford Leisure Exchange. This screen has a great combination of high dwell time as well as longrange visibility provided by the nearby traffic lights and ring road. 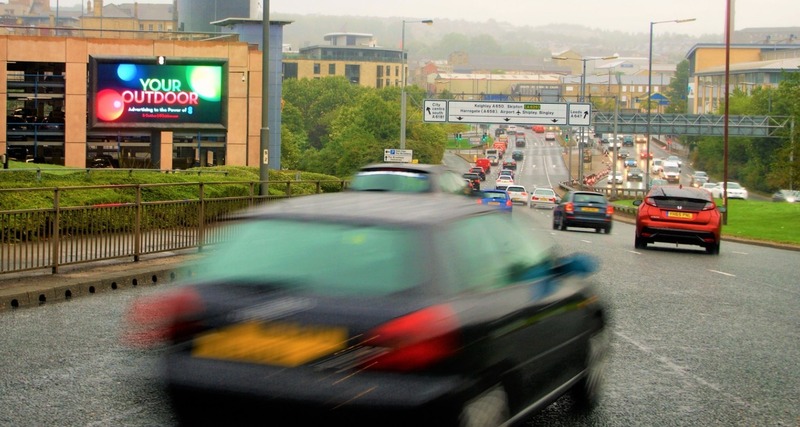 Bradford is now a member of Yorkshire cities who have multiple 8 Outdoor screens built by SIS Digital, along with Leeds, Mansfield and Sheffield, and enhances SIS’s presence in the North West of England. For more information about our work in Bradford, Yorkshire or North West England, please contact info@sisdigital.co.uk.